EFFECTIVE LiFePO4 BATTERY CHARGING AND MAINTENANCE The LITHIUM XS is an advanced microprocessor controlled charger specially designed to recharge and maintain Lithium-Ion Phosphate (LiFePO4) batteries — maximizing their performance and lifespan. With up to 5A of charge current available the LITHIUM XS is extremely flexible and will charge LiFePO4 batteries from 5Ah to 60Ah and maintain up to 120Ah. Operation is simple and charging will commence upon connection. With no need to disconnect the battery from the vehicle, at charge start the LITHIUM_XS will automatically reset any low voltage protection electronics (Battery Management System) fitted. Charging can be restarted manually at any time using the "Reset" button. The LITHIUM XS is a fully automatic "connect and forget" charger with 8 charging steps including a testing sequence to show if the LiFePO4 battery can take and retain charge, a unique maximization step to restore full capacity, and patented maintenance charging to ensure maximum performance even after months of inactivity. 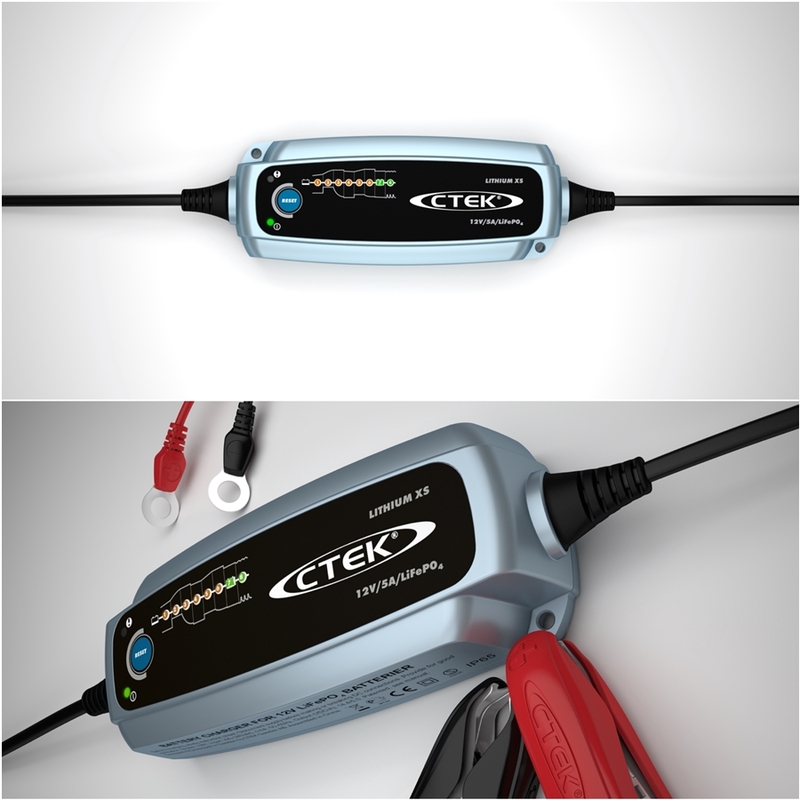 Splash proof and dust proof (IP65) the LITHIUM_XS is easy and safe to use, protects vehicle electronics, spark-free, reverse polarity protected and short circuit proof. The LITHIUM XS features a full 5 year warranty.